Niki is a stay at home mom of a 4 year old pre-schooler, Adam. Adam is cheeky and loves books and arts and crafts. Their favourite activity together is to play in the park, baking cakes and cookies in the kitchen, and of course painting and crafting. Every night, right before bed, Adam loves his bedtime stories. Sometimes, mommy would have to read to him more than 3 books a night! Here are a selection of Niki's favourite books from our Collection. This was one of his first books and he loves it until now. Ours has a music button where he presses every time we turn the page. As he grew older, he learnt the growth cycle of the caterpillar in school and could actually relate it to the book! 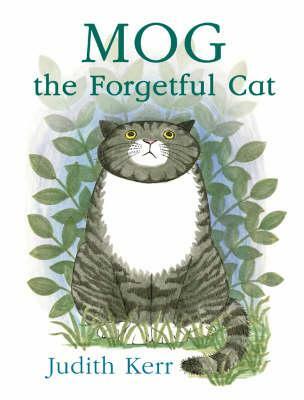 Adam has other titles in the Mog series but this one is still his favourite. Judith Kerr's writing is simple and entertaining. Mog's absentmindedness makes it a very likable character, and somehow Adam remembers all the characters by heart. What a colourful fun book! 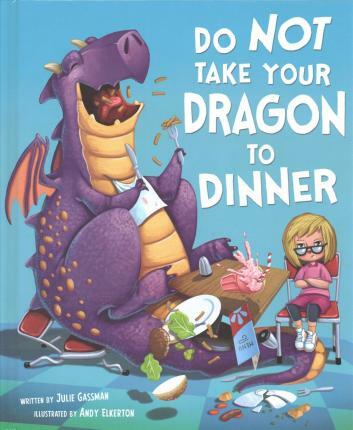 We love the rhyming words and mommy approves of the book's way of teaching kids on what not to do at the dinner table and is definitely a fun way to expose them to the right table manners. This book is a fun read for sure. Adam loves cats so this book is an obvious choice. Their fun illustrations are a joy to see. Their repetitive phrasing is great for preschoolers to read along. It's definitely for keeps and will be read over and over again! My cousin gifted me a set of JD's books and this was one of them. Adam loves all three books(Sharing a Shell, What the Ladybird Heard, Princess and Wizard), but this is clearly his favourite among all three. 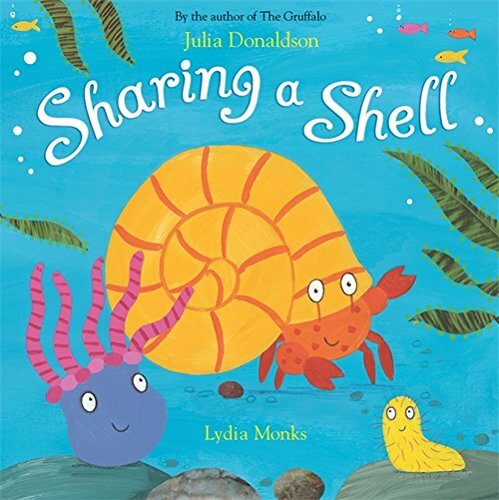 Three friends, sharing a shell, what a great way to teach kids on the importance of sharing. He loves it when my husband or myself read it in different voices. When we travel, this book is always one of the books we bring along to give him the sense of comfort.